Mankx: Victoria's Secret Angels are Taking Over! Victoria's Secret Angels are Taking Over! Loving this new photo shoot for Dolce and Gabbana's Spring/Summer 2011 look book. 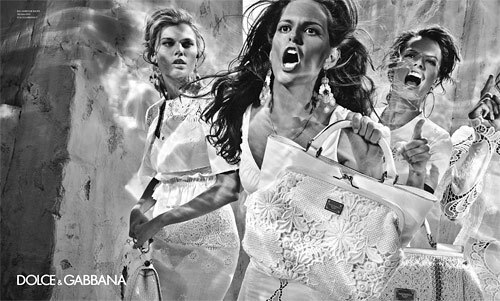 These ladies are fierce and I love to see ad campaigns that speak (scream) to me.